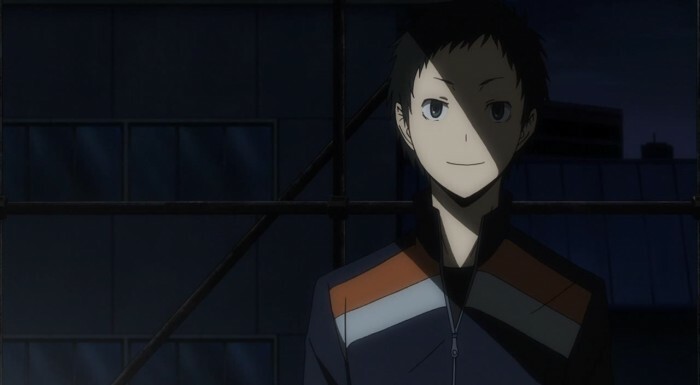 We continue our slow trudge towards whatever big moment Durarara! !x2 seems to be slowly building up to. At this point its clear that everything’s coming to a head soon, and with this week, its clear where nearly every character stands. 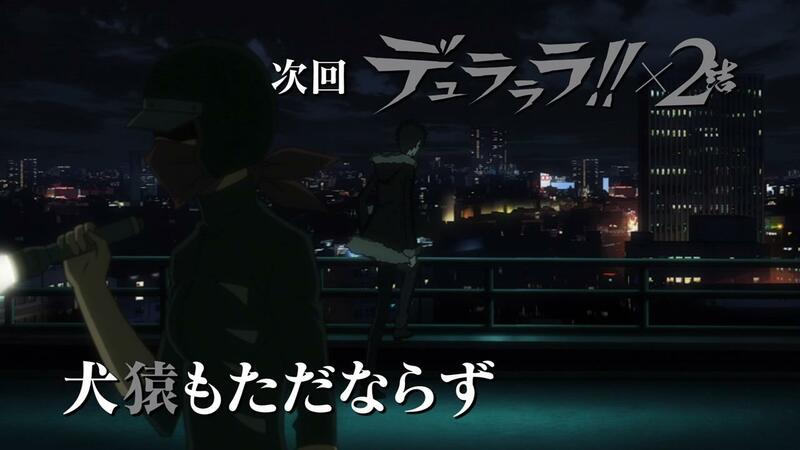 Yet, for all the wait, all the setup and everything else that we’ve had to endure, its a bit of a letdown to find out that the big moment that the three cours of Durarara! !x2 have been building toward is little more than a shared moment between Kida and Mikado (and possibly Airi). Some of the reveals this week, utterly confused me. These new nuggets of information seemed to be introducing plot points and revelations that were actively contradicting what I thought had be set in stone earlier in the series. The first of those, was regarding Kida and Saki, and to a lesser degree Anri, Kida and Mikado. 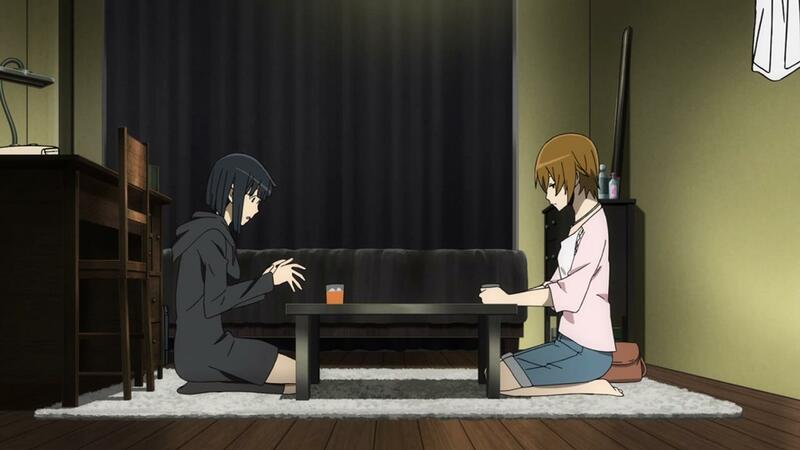 The little chat that Saki has with Anri, is the most weird and confusing conversation that Durarara! !x2 has put forward yet. On the one hand, it seems to suggest that Mikado, Anri and Kida are in a love triangle, and on the other hand, it suggests that Anri really isn’t interested or “capable” of loving either of the two guys. So basically, if we’re to pull a Chikage and just boil everything down to the basics, Mikado and Kida both had a thing for Anri, but since Anri’s got Saika, she can’t really feel anything for them, nor does she. She appreciates them, feels indebted to them for all the things they did for her, but there’s no love in that equation. 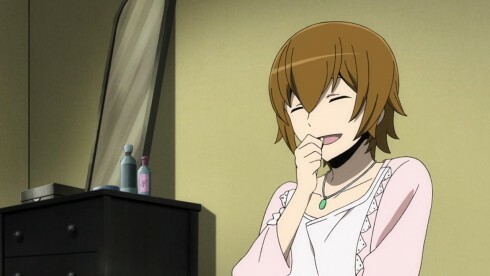 Then there’s Kida himself, and his relation to Saki. Now, from what I got from in season 1, I was all but sure that Kida was actually interested in Saki, and that the whole “I’m into Anri” thing was more of a facade for him to try and get the “high school life” he always wanted. I thought that it had been spelled out that Kida wasn’t interested Anri, and that he never had been. Yet… Saki quitely plainly suggests that Kida had, at least at one point, been very serious about Anri. That Saki and Kida were never a thing, and that in the process of her falling for him through Izaya’s request, she actually fell in love with him. So its kind of like love quadrangle now? 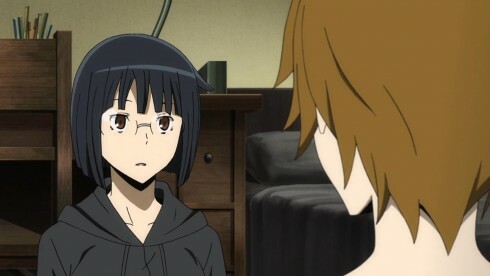 Saki’s in there, Kida feels responsible for what happened to her, so he’s with her, but he was actually interested in Anri? I’m not saying it doesn’t all add up, I’m just saying it feels a bit late to be readjusting the situation now. From everything we had been told about the story, the situation wasn’t quite as grey as it is now. And I wonder if there’s some actual readjusting going to make things a bit more dramatic. Its a lot more interesting if Kida and Mikado are both into Anri… I guess? Is that the point here? To amp up the drama? Because Honestly I don’t see what this new twist or revelation adds to almost anything. 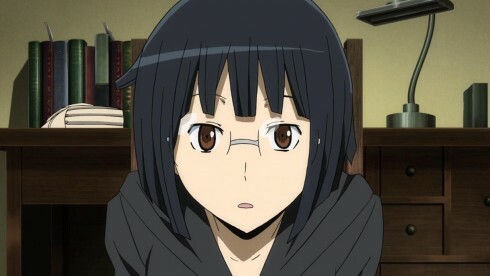 Then there’s Anri, lets get back to the big reveal that she isn’t really interested in either Kida or Mikado. Really? I mean… Really? After all this time of suggesting that Mikado and Anri were an item, the show is just pulling back from that and suggesting that Anri just really isn’t into him? That she never really liked him? When the entire cast has been literally ramming the hints about the two of them down our throats? 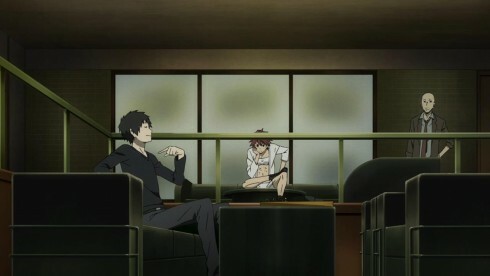 And it would be one thing if this conversation were the only evidence of this new fact, but between Chikage and Kida’s own conversation, its made abundantly clear that both Mikado AND Kida are into Anri. Damn do I feel cheated here, because I did think I was paying attention throughout all those episodes. I don’t think I’d miss such an important detail as “Kida is with Saki because he feels obligated to” and “he really is actually interested in Anri”. 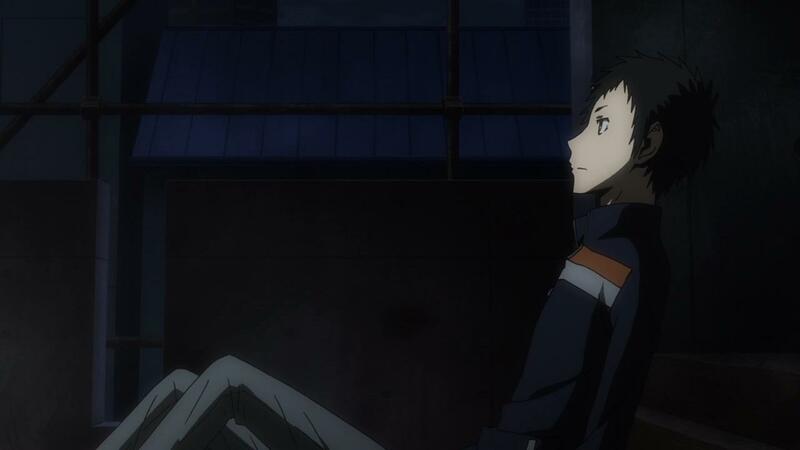 To make matters worse, it does feel like the big moment that the series has been building to, is just going to be Kida and Mikado finally talking face to face and letting everything out. Really? All this crazyness and confusion is out there so these three high school kids can sort their issues? I’m not entirely amused by this, mostly because its the kind of story that could be over in one or two episodes, not take an entire 3-cour series to build towards. I may not be amused, but Izaya sure as hell is. 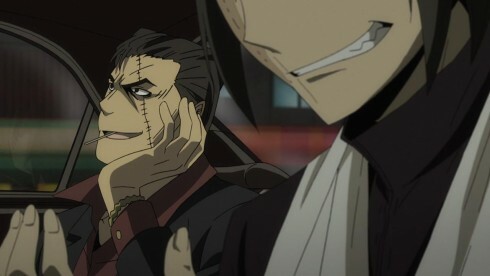 He’s more or less content to let Mikado’s little descent into darkness and his self destruction go on, unchallenged. 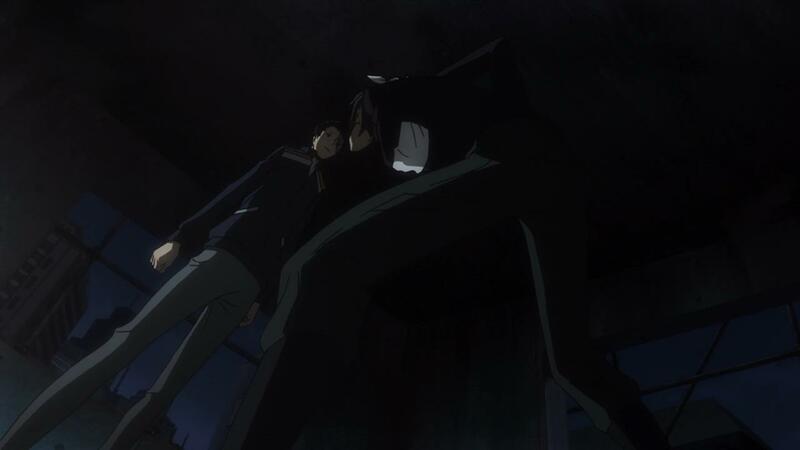 To that end, it seems Izaya’s big role in this whole situation is just going to be taking out the inhuman elements from the equation. 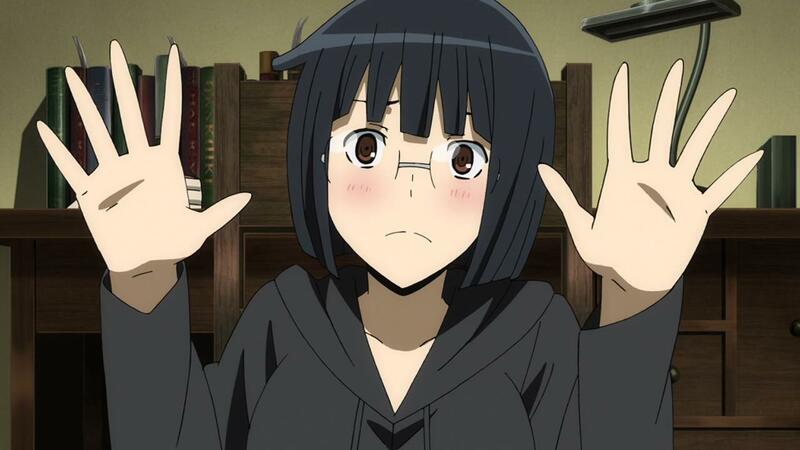 That means Anri, Celty, Kujiragi, and not so surprisingly Shizou. Now, its important to note that Shizou is technically human but as far as Izaya’s concerned, he’s as much of a monster as the rest of the people on the list. So Basically, Izaya is going to be dealing with Shizou and wrecking havok on what’s pretty much our B-Storyline now. The whole conflict between Celty, Kujiragi, Shizou and Varona is actively going to be a side show to whatever big thing Mikado is planning. 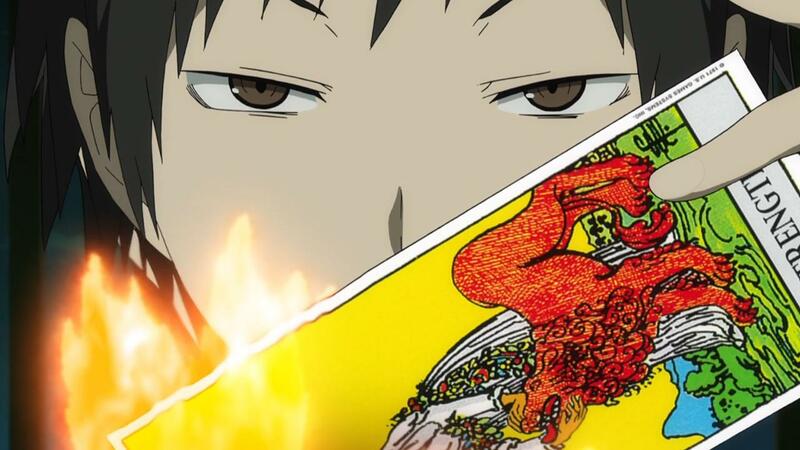 While Chikage and Kida try to get to Mikado, Izaya will be stoking the flames in a completely different area. Does that worry me? Oh yeah. 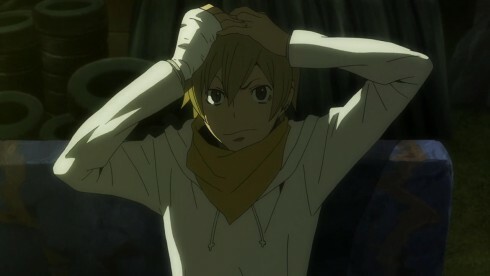 I just don’t like the idea of Durarara! !x2 continuing down this path of parallel storytelling, and having two major events happen in tandem sounds like a recipe for disaster. 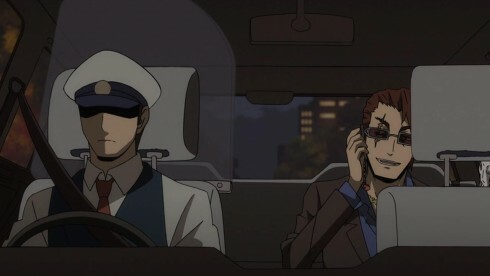 To make matters even more complicated, it seems like the ACTUAL Adult criminal gangs are starting to join in on Mikado’s whole plan. We already knew Akabayashi had his eye on Mikado, but it seems like Izumii is actually working for a rival gang here. 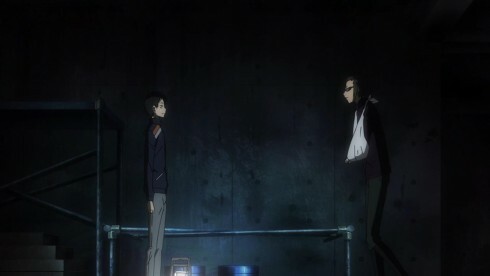 The same one that caused the events of cour 1 to unfold. 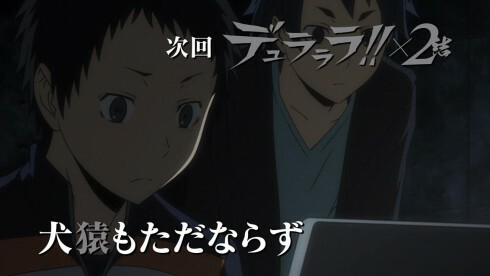 The one interesting or tantalizing mystery that does get introduced, is about whatever item Izumii gave to Mikado. 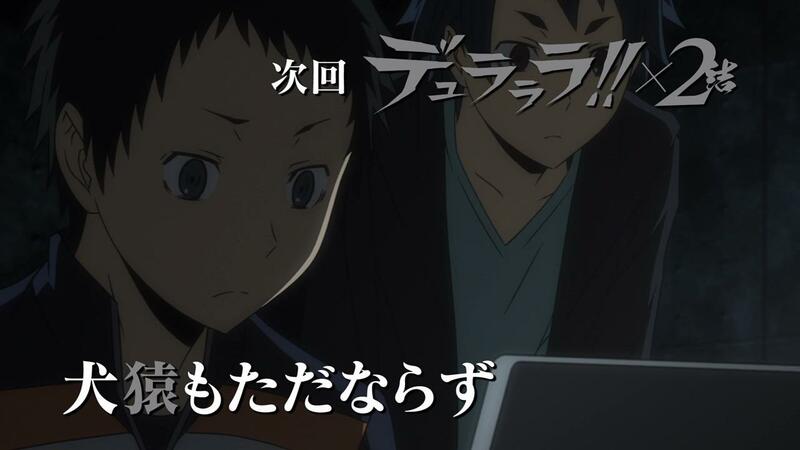 We’re not really sure what happens off screen, but Mikado is able to not only have Izumii back down, but also impress him. What we do know is that whatever Izumii gave Mikado, its pretty big. 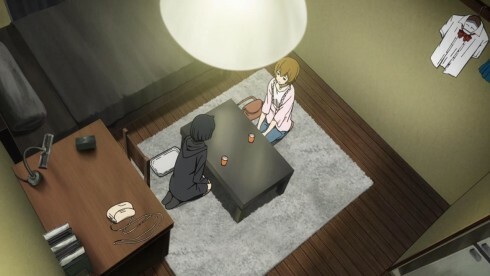 What other item, beyond Celty’s head, is so important and earth shattering? I’m very curious to find out.